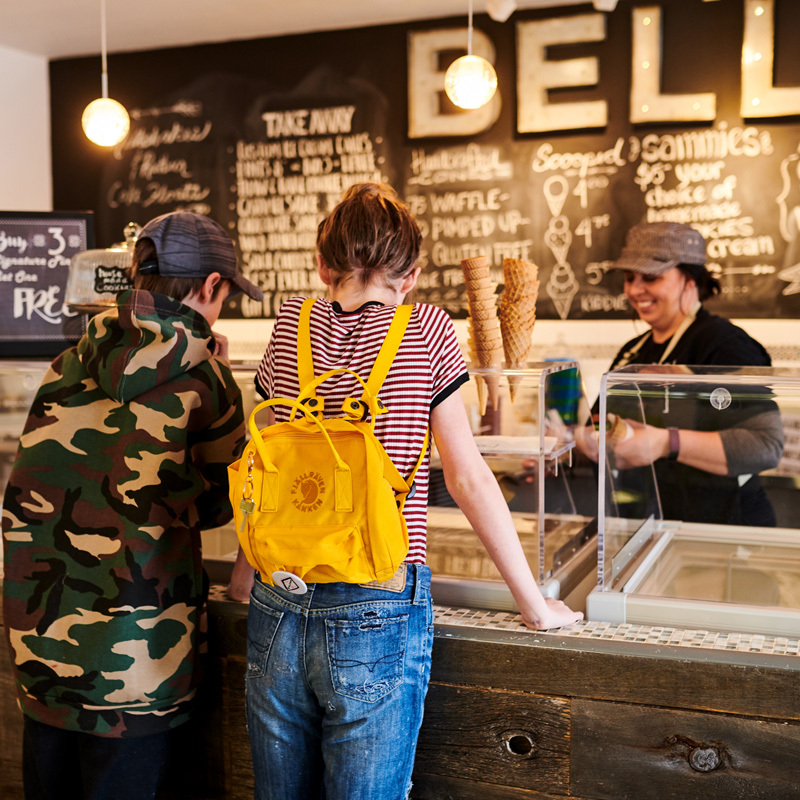 Scoop Shop | Belly Ice Cream - All Natural Ice Cream, Ontario Canada | Handcrafted Chef Inspired Flavours! Stop by the scoop shop and treat yourself. Our state of the art commercial kitchen can be viewed while enjoying your chef made sundae! Each morsel that goes into your ice cream is hand made and crafted by us. We make the cookies for our ice cream sammies, the brownies for our Obscene Chocolate Brownie, the marshmallow in our Muskoka Smores… you name it, we make it (YES, even the caramel). With lots of parking and an accessible building, you won’t be disappointed that you stopped on in – you could even make it your new Muskoka tradition. I scream, you scream… we all scream for Ice Cream Cakes! You heard us right. 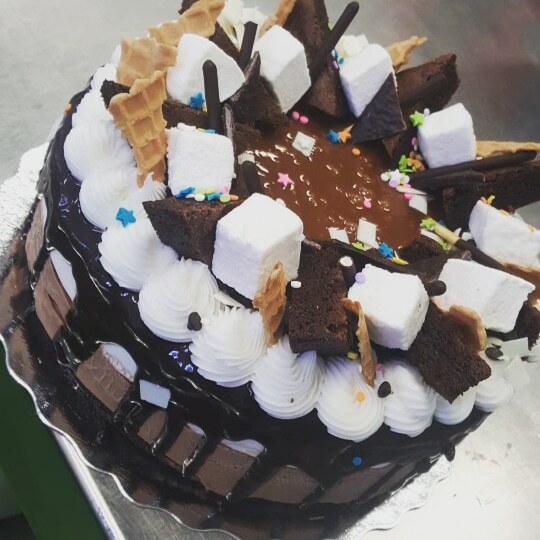 We make custom ice cream cakes right here with our own handcrafted, artisan ice cream. Made fresh using wicked combinations of our ice cream, including lots of other goodies like brownies, marshmallow, candies and cones. And yes, we even know how to make that fudgey, gooey cookie centre you know and love! Give us a call today or email Belly to place your order for pickup.